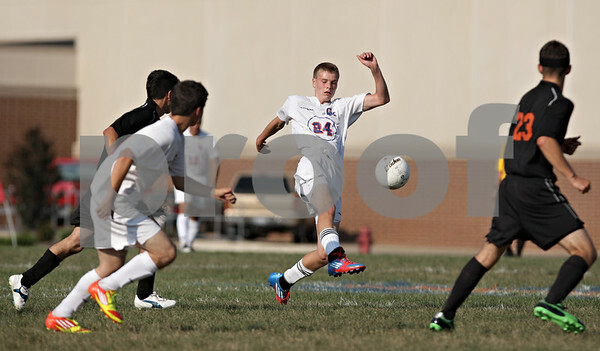 Genoa-Kingston's Tommy Hansen (24) kicks a ball during the first half in Genoa Wednesday, Aug. 29, 2012. Hansen scored the first of the Cogs' two goals. G-K defeated Winnebago, 2-1.